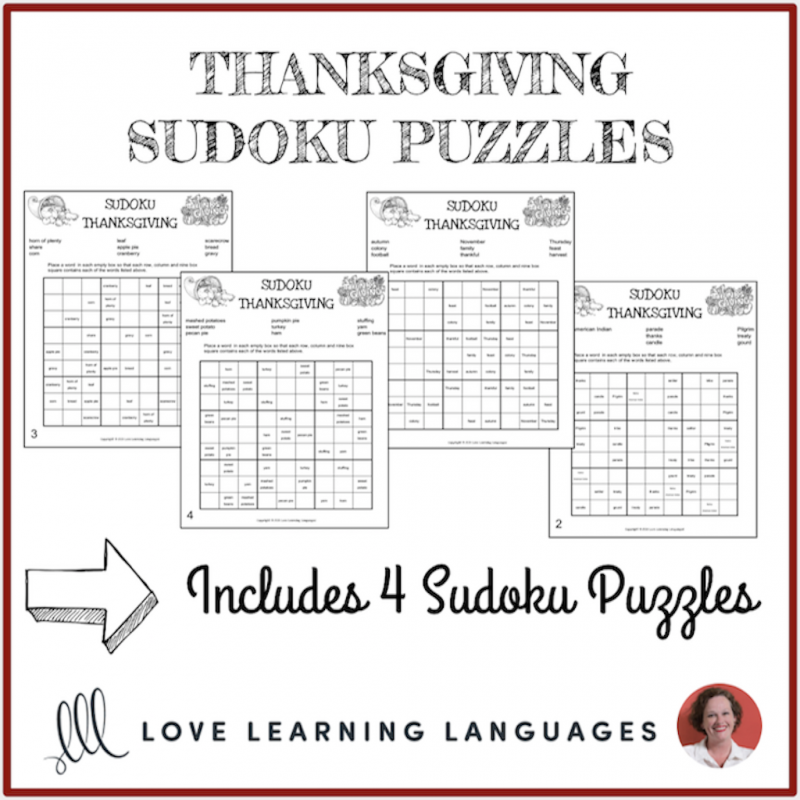 Use these sudoku games to have some fun with Thanksgiving themed vocabulary. 4 versions are included making a total of 36 vocabulary words. 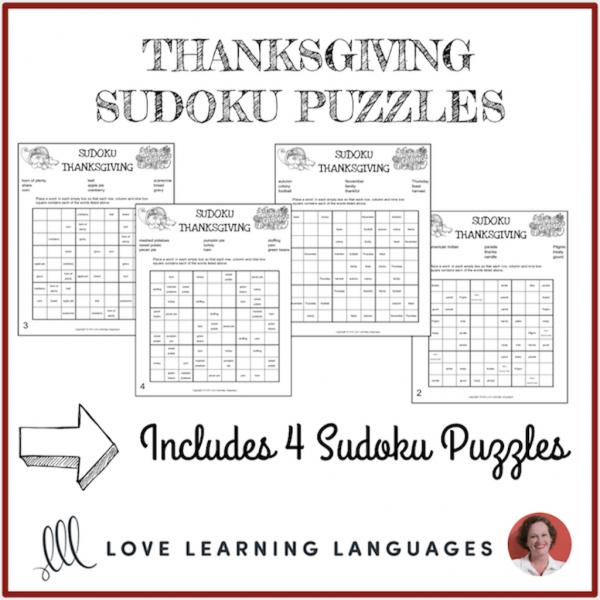 Students place a word in each empty box so that each row, column and nine box square contains each of the words.